On a daily basis, many travel writers think about paying for necessities such as rent, utilities, car, food, and other expenses.e As you try to establish yourself as a travel writer, it can be daunting, scary, and overwhelming. You may apply for many freelancing writing opportunities and only receive a handful. Most people start out this way. Do whatever it takes because it will be worth it in the end! Visit the The Travel Writers Life. 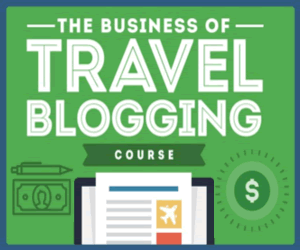 They have some great resources for travel writers such as a FREE E-Letter Sign Up. 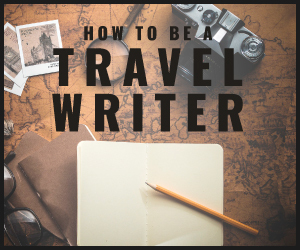 If you’re serious about becoming a travel writer, take a practical approach. You could get a full-time or part-time job to pay the bills. Remember, this is not a career job! Consider full-time and part-time temporary/contract within industries such as travel/tourism, hospitality, marketing, or just temporary/contract work in general. Sign up with Elance and Guru.com. These websites are for freelancers. You bid on writing opportunities and hope that you receive as many as you can get. If you would like to bid on “premium” jobs, you must upgrade your account, for a fee. It’s best to sign up with both of these sites in order to compare differences and similarities. The other option is to sign up with one for 6 months and the other for another 6 months. The choice is yours! Anything that you can do to have “cash” flow into your bank accounts(s), just do it! With the money you earn, put some aside and take a “road trip” somewhere. You can write a great article about your travel experience! Furthermore, you will have writing samples to put into your portfolio or to “upload” to your website. Before you know it, you will be a successful travel writer and say “goodbye” to that full-time and or part-time job!